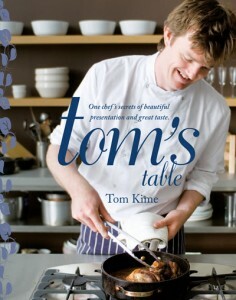 Stories and recipes from sustainable fisheries around the world, from Sydney-based chef and food adventurer Tom Kime. 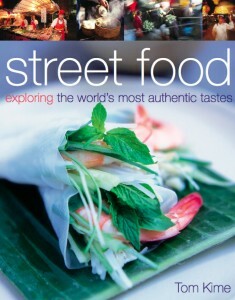 Street Food jumps off the page with all the fun of a trip around the world. This is more than a cookbook. It’s an education. 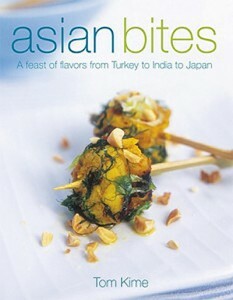 Take a trek through different regions of Asia and learn what lends Asian cuisine its flavours. With over 30 delicious, easy – to – follow recipes, and scores of practical techniques, Tom’s Table is an essential guide to making stunning recipes at home that have that restaurant wow factor. I have included a recipe for stir fried prawns and shellfish with chilli jam and Thai basil that you can try at home. The dish is quick and easy to cook at home. Purchase your sustainable fish to cook at home from Fish & Co. Please call the restaurant or send us a message and we will let you know what is in season and which fish is available to purchase. 24 hours notice is required for your order. Delicious small fillets of fish with the skin on. There is a high Omega 3 content in the skin. Firm white flesh is not oily. Can be fried or grilled. Skinless fillet of fish, no bones. White firm fleshed fish, easy to cook. The fish can be grilled, fried, baked, steamed or diced for soups, stew and curry. This is a great sustainable alternative to the larger Yellow Fin and Blue Fin Tuna. Most Albacore Tuna is pole and line caught. The New Zealand Albacore Fishery has MSC certification as being fully sustainable. Albacore Tuna is a much smaller species, whish is fast maturing and breeding with a firm, pale flesh. Great served rare as carpaccio or cured with salt or citrus. Can also be fried or grilled. Meaty white firm fleshed fish fillets with no skin or bones. Great alternative to large fish such as Grouper or Mulloway. Holds its firm textured shape when cooked. Can be grilled or roasted as a fillet or cut for fish soups, stews and currys. Delicious Wild Caught Alaskan Salmon rich in Omega 3. There is no alterantive to this wild Salmon. By the very nature of it as a species it is fished in a very sustainable manner. As the salmon dies after spawning, only half the stock is fished. The other half is allowed to run the rivers to spawn. This fish has the highest level of Omega 3 and is and amazing colour due to a diet of prawns and shellfish. What’s different about Fish & Co?